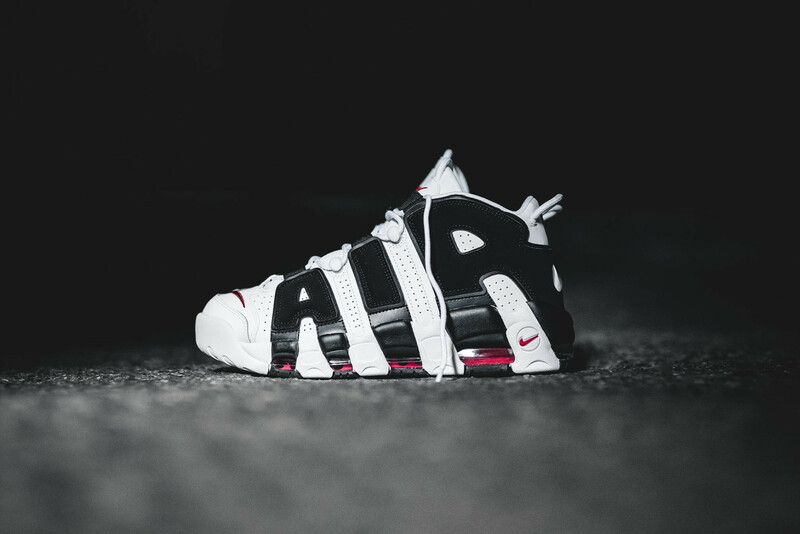 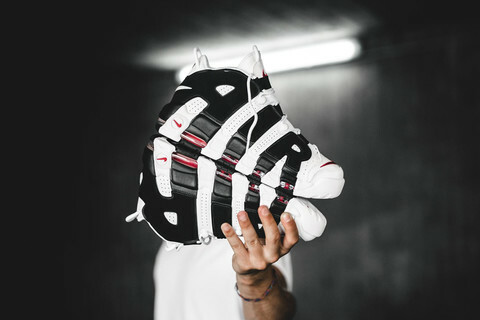 This Air More Uptempo features a White leather upper with perforations throughout. 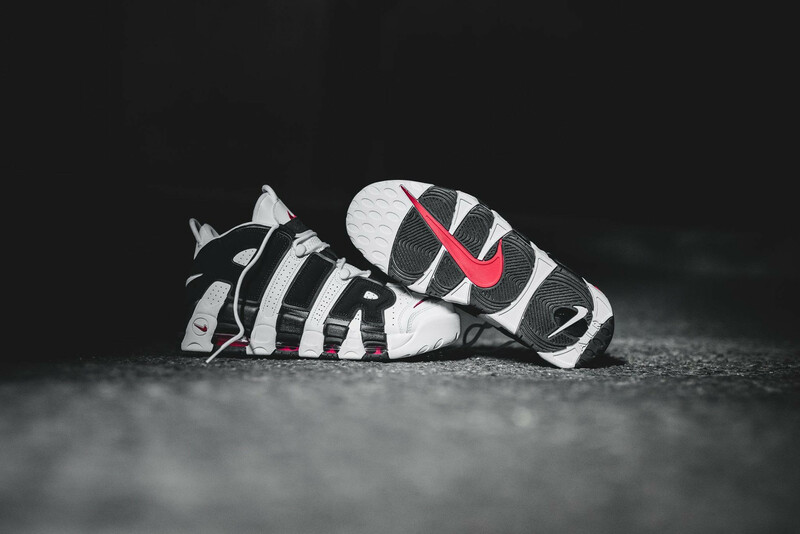 Black can then be seen on the “AIR” branding which is done in nubuck as well as on the midsole, tongue, and heel. What makes this pair a “Scottie Pippen PE” is the fact that it has Scottie’s “PIP” logo on the heels.